In 2011, with the help of many partners, we launched the Autism NOW Center – the National Autism Resource and Information Center – to help people searching the web separate fact from fiction when it comes to autism. Led by The Arc and funded by the Administration on Developmental Disabilities, 2011 was a busy year for the Autism NOW Center. With five regional summits, dozens of webinars, and the creation of a top-notch informational website with input from partners in the disability field, we went into 2012 with exciting ideas to expand upon that important work. While www.autismnow.org is becoming a go-to resource for families, individuals with autism, and experts in the field, we’re still working hard on adding new features and content! We just rolled out two exciting new features on the site recently – a mobile version, allowing users on mobile devices like smart phones and tablets to see an optimized version of the site, and a local agencies directory in the form of a map. This mobile version lets users get to content faster on the go, and creates better accessibility overall for the site. The local agencies directory provides an easy-to-use way to find agencies in your state that can help with services, support and resources for living with autism and other developmental disabilities. To view the mobile version, simply visit the site (www.autismnow.org) on a smart phone or tablet – like an iPhone or iPad. To view the Local Agencies Directory, visit www.autismnow.org/map. And keep in mind, we plan on adding more agencies to the directory. If you have a suggestion or correction, simply use the form on the page to let us know. The new features of the site are only the beginning in what will be a busy year for us. Other planned features include commenting on blog articles, a message board, an enhanced community calendar and new video content. 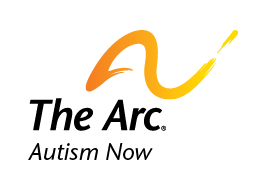 Did you know you can get involved with the Autism NOW Center right now? Learn how at www.autismnow.org/participate. Date posted: February 22, 2012. Content created by The Autism NOW Center. Last updated: March 21, 2018.